Rear-end collisions usually do not result in fatalities; however, they often cause serious and costly injuries. According to data released by the National Safety Council, every year about 6 million car accidents occur in the United States. Of these, about 2.5 million rear-end collisions. Driving under the influence or driving when intoxicated. Vehicle breakdowns are responsible for a large percentage of rear-end collisions. 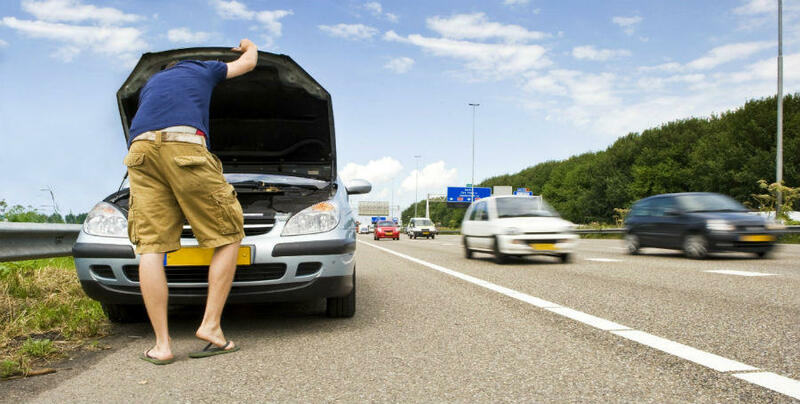 One of the scariest moments for any driver is the vehicle breaking down in the middle of a highway. The situation becomes even scarier if it happens during rush hour, bad weather, or after dark. During such times, chances are high that a vehicle may come from behind and hits the vehicle. Not only can this cause damage to the vehicle, but it can also cause injuries to the passengers. Many rear-end collisions occur when a car breaks down in the middle of the roadway because of a blown tire, engine breakdown, motor vehicle accident, or because the car ran out of fuel and a vehicle came from behind and rammed into it. So, it is important to try and maneuver the car out of the flow of traffic and beyond the emergency lane if possible. Who Is Liable for a Rear-End Collision? In almost 90 percent of rear-end collisions, the vehicle hitting the car from behind would be fully liable for the resulting losses. The party at fault would be liable to pay the medical bills and compensation for property damage, including damage to the vehicle and to the property present inside the vehicle at the time of the accident such as laptops and cell phones. Although you may have clear evidence that the other driver hit your car from behind, you may have to pay a part of the damages if you are partly responsible for the accident in any way. For example, if your car breaks down in the middle of the highway and you fail to switch on the parking or emergency lights, and the vehicle approaching from behind fails to notice your stalled vehicle and hits you from behind, it may affect the claim. If the parking lights did not work at all, even though you intended to switch them on, this may also affect the claim. The insurance adjuster will take all these factors into account and then calculate the value of the claim. The compensation you receive may go down with your contributory negligence. If you were rear-ended when your car broke down on the highway, consult an experienced St. Louis car accident lawyer to calculate the correct claim value and get help in recovering the damages you deserve. Call The Hoffmann Law Firm, L.L.C. at (314) 361-4242.